Wohoo! I received my new GPS sportwatch today! This is a cool watch! I am really happy with it on my first day! It arrived and was unwrapped within seconds. It looks really great and feels very good to the touch. Definately a different league of quality feel from the TomTom Multisport did. When I got home I started setting up my perfect activity screen and it was a lot easier then on my previous Fenix 2 where everything was in code…. Now everything is almost GUI and you are able to see how it will look. Also there are apps. Apart from weather there is music control which is genious! I can now start/pause, skip and control volume level is great when out walking or running like I do. For Android users this is extra great as most headsets dont offer other than pause/play. So all good the first day and I am really happy with the purchase. Watch looks good and seems to work fine. I like the potential in the apps store (Connect IQ Store). Could be great. The only thing that worries me is the GPS accurracy which I have written about before. 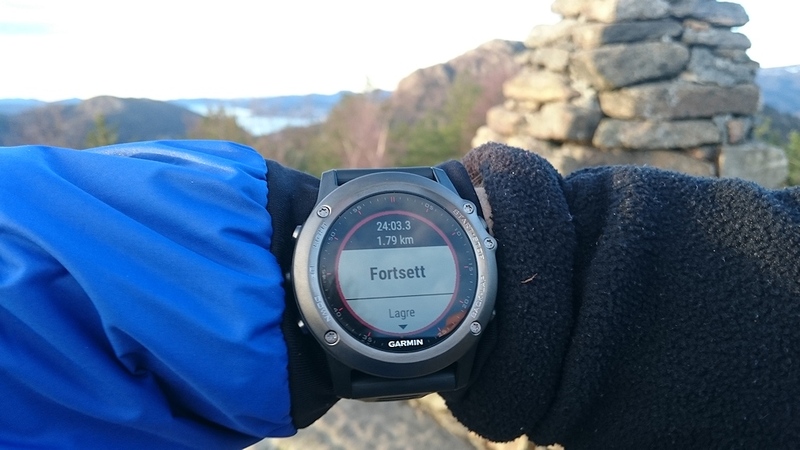 I’ll do a comparison to my friends Suunto Ambit 3 and report. See you!